to Draw a lantern seems a difficult task? Nothing of the sort. Worth paying a little patience and effort, even the novice artist will be able to portray excellent lighting facility. How to draw a lantern, see below. Before you start drawing, you need to do the preparatory work. It consists in the arrangement of the object on the sheet. The proposed oval is the place where will be located the lantern. How to draw a pencil silhouette? You need to break the shape into pieces. The lantern consists of three parts: stand, pole and canopy. To draw start from the top. First, all of the depicted primitive. Can all the parts to outline the rectangles and see if you like the mass ratio. If you are satisfied, you can proceed to detailed design. 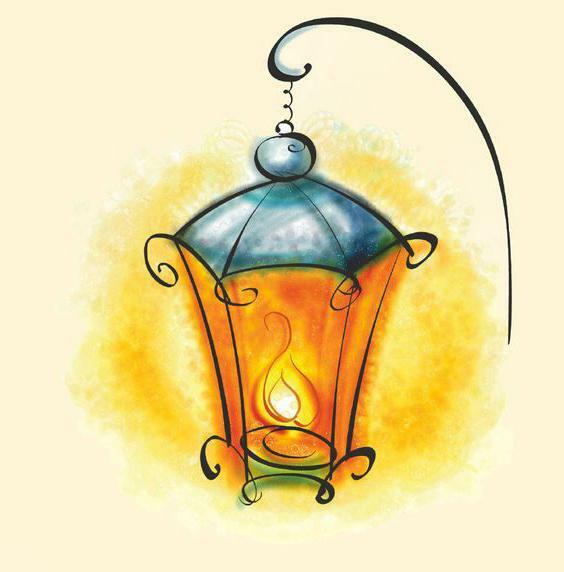 Draw the frame of the lampshade, the bulb and metal decoration. The post should depict the ovals, which are places of connection and at the same time play the role of stiffeners. And in the final form the desired shape for the base. Now you need to decide which side the light falls. In our case it comes from the part of the viewer. Therefore, we need to darken the right and left sides of the lantern, leaving lit only the center. And final action – strokes to portray the glare from the bulb. 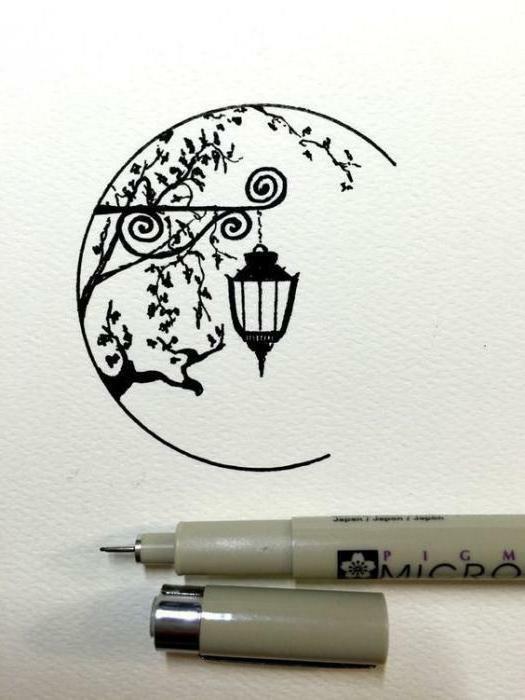 How to draw a lantern silhouette to make it look spectacular? You should compose it in a circle and hang near the tree. 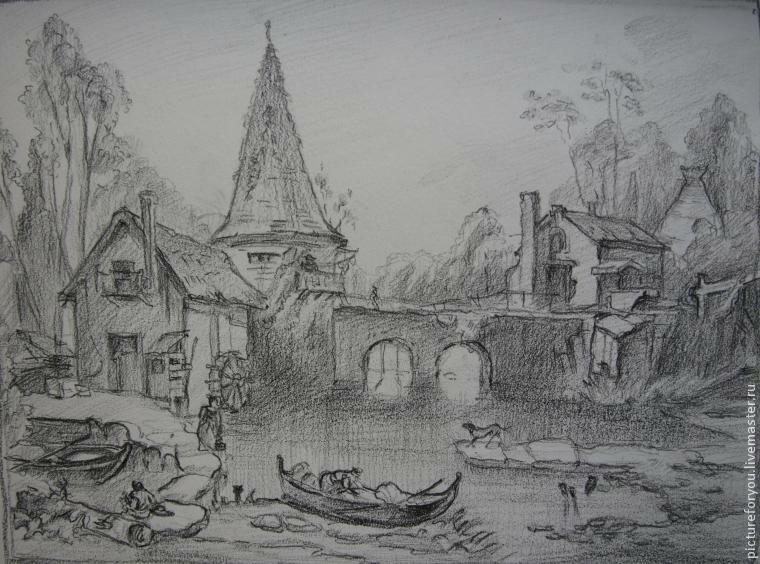 Before you paint with ink, you need to make pencil sketch. First draw a circle. Now in its center is placed the lantern. To make it look interesting, it can make the ceiling with quirky decor and increase the number of jumpers. Now it is necessary to represent the chain and the bracket that goes sideways. In the background of the proposed tree. When everything is ready, you can start drawing with a ruling pen. This is a very handy tool for drawing with ink. You must fill the tank, and you can start drawing. This pen won't leave blobs and will squeeze out the ink evenly. Fill in the pencil outline drawing of the luminaire, mount and wood. The circular frame can be completely I don't outline, and leave the ¼ empty. 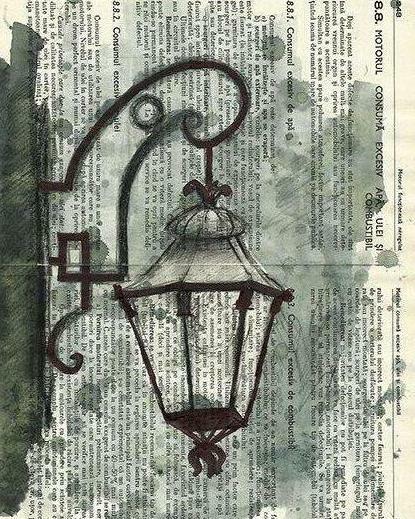 How to draw a lantern, to make the picture look extraordinary? You can do not on a regular sheet of paper, and the newspaper. On sheet with text but no pictures, draw the silhouette of the canopy. It looks like rough diamond with cut corners and covers the top and bottom. To the top need to finish the mount, and the bottom – wrought iron decor. It now remains to draw the decorative elements and the pole. Mount the lamp pole draw absolutely any form. If imagination is not your strong point, unable to copy with the sample attached above. Now you should make a watercolor underpainting. Gray and green paint applied to a sheet of newspaper colored spots. It is advisable not to do it mindlessly and pretend to be in places where the object falls the shadow. Now you need to take the ink and make the circuit of all lines significantly fatter. You can drill down to the light, drawing on its cover and mounting strips. How to draw a lantern is not normal, and in the decorative option? 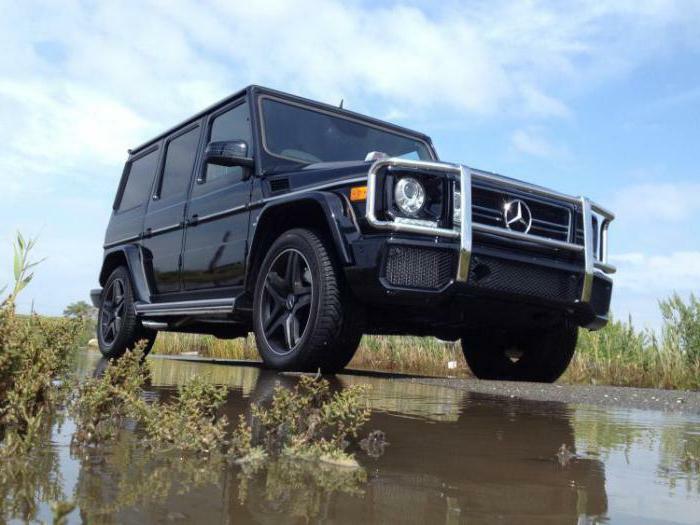 For this you need to dream a little. You should come up with original shape and decoration lighting product. How to draw a lantern in stages? First, the proposed form. 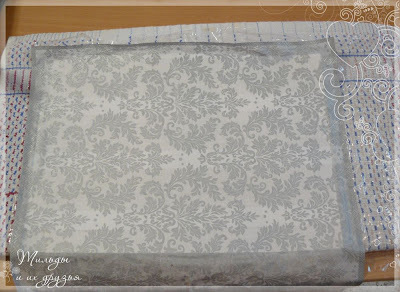 It will be a large circle in the center of the sheet. Now draw the hexagon, rounded on top and tapering downwards. The three waves depicted the roof. The next step – connecting the upper and lower points. Draw ribs. Two ovals depicting a bottom and top draw string. Most comma will symbolize the mount, and the wavy lines above and below the ceiling will help to support composition. Now we begin to paint. Pour everything except the cover of the lantern, yellow, and, before it dries, pour it in orange. When the first coat is dry, you can work out the details. 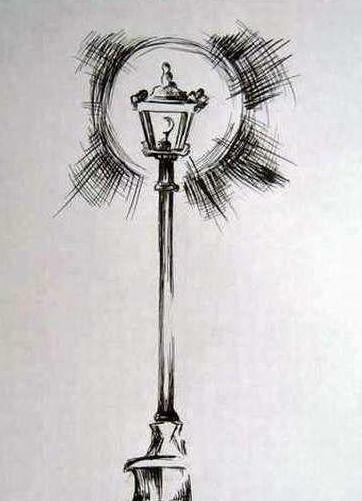 Depicted inside the lantern light. Cover of the light cover with the banner blue and green. The last action – circle in black color with decorative elements.